Stability and mobility are praises sung of the UpCart City's innovative new folding cart. Complete with stair-climbing, all terrain technology, the UpCart City makes transit of heavy items easy and efficient. The UpCart City is not your typical folding hand cart, and the distinguishing feature is the six-wheel design. This design revolutionizes the folding hand cart by improving balance, easing mobility, and reducing pressure. The UpCart City allows users to balance the weight on four wheels instead of two, creating a flat and even base for transit of heavy objects. Mobility deserves the majority of space in this review---after all, the cart takes you from A to B---and the ways in which this six-wheel design improves mobility are really incredible. I can't emphasize enough how this design is truly innovative, and I am astonished that a person came up with this idea! As mentioned, four wheels touch the ground at any given time, creating a stable base as you move heavy objects from place to place. The third wheels enable you to climb stairs and maneuver over other rough terrain. Think of the challenge a sidewalk curb provides when you are rolling a regular hand cart along. Wheelchairs, scooters, and even bicycles struggle to get over an angular, raised curb. The UpCart City defeats the challenge curbs and stairs provide through this six-wheel technology. Best shown in a video, the three wheels rotate when encountering an obstacle (like a stair or curb), enabling the cart to climb. The cart stays level while climbing stairs so the load you're transporting does not wobble or fall. Speaking of transporting bulky items, the UpCart City can hold up to 77lbs, which isn't as much as the original UpCart, but it's still great for transporting groceries, laundry, and heavy craft supplies. 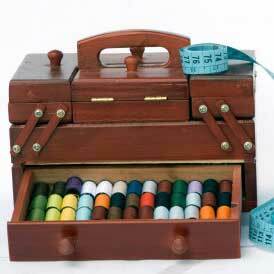 Speaking of craft supplies, the UpCart City is popular among sewists. Secure your sewing machine, bolts of fabric, notions, and more on the UpCart City, and transport even your heaviest supplies with ease. You don't have to worry about carrying a sewing machine any distance or trying to roll it upstairs with standard, soft-sided craft storage that typically has just two or four tiny luggage wheels. The UpCart City means you don't have to leave anything behind or worry, even if your sewing destination is a friend's fourth-floor apartment. The UpCart City folds down for compact, easy storage for a depth of only 4.5 inches! Best of all, there's nothing to setup; the UpCart City comes fully assembled ready to use right out of the box. The handle is adjustable and the cart props up easily on a sturdy base, keeping your items level in transit and when stationary. Other stair-climbing carts involve some powered mechanism, driving the price up to hundreds or even thousands of dollars for industrial use. The UpCart City is the everyday, manual alternative that eases the pressure and climbs stairs effectively, too. Transport your sewing supplies, furniture, groceries, and more with this innovative mobility solution.